Make a fresh batch of this classic spice mix every year for the best flavor in your holiday recipes. Keep in a tightly sealed glass jar in the spice cupboard. Pack in a nice jar and you have an easy holiday gift to share with friends. 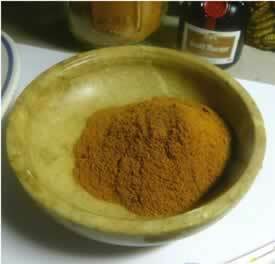 Recipe Instructions: Capsules/Powders :For pumpkin pie use 2 teaspoons of spice mix to every pound of pumpkin or 15 oz can of puree. My nutmeg always sulks and hides in the back of the cupboard because I use it so seldom. I substituted cardamom the last time I made this and it turned out great.